Lee Sun-kyun is a 43 years old South Korean actor. He was a musical actor before, but then started in the world of onscreen acting. At first, he only played minor or supporting roles, before he finally agreed to act as a lead actor in Drama City and Best Theater. Later on, he acted on the big screen for the movie Panju, which led him to an award from the Las Palmas de Gran Canaria International Film Festival. He is also known as “The Voice”, a nickname given by fans, because of his distinctive deep voice. After he graduated from Korean National University of Arts in 1994, he made his acting debut in 2001 as Brad Majors in the stage musical The Rocky Horror Show. Through musicals, he got famous for his voice, as fans called him “The Voice”, though he doesn’t really consider himself as a singer. 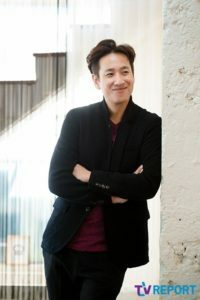 For a few years, he only got to play minor or supporting roles, until 2007 when he received his first hit with the medical drama White Tower and the highly popular romantic series Coffee Shop. Despite his fame, he still chose a minor roles, until his wife asked him about choosing roles with more screen time. That was what made him chose the chef role in Pasta. He also made some appearances in music videos. Check out him in these music videos! What’s Behind Sistar Hyorin’s Perfect Body?